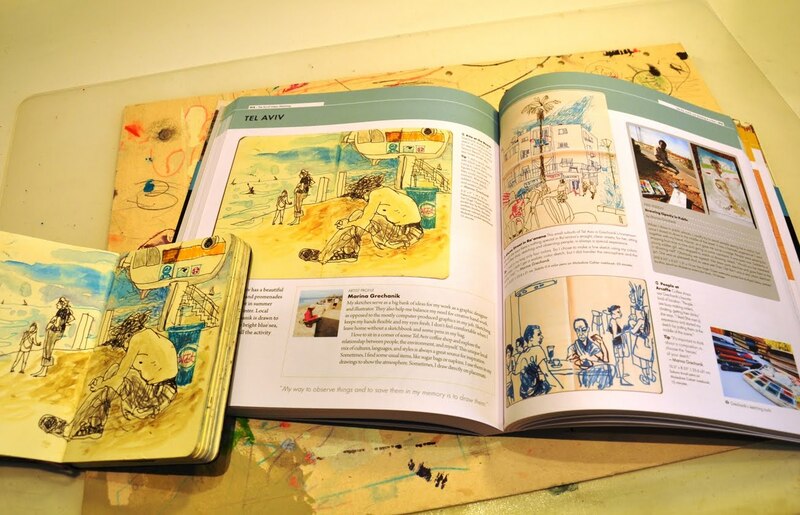 next to the pages where her drawings appear. See more photos on her original blog post. 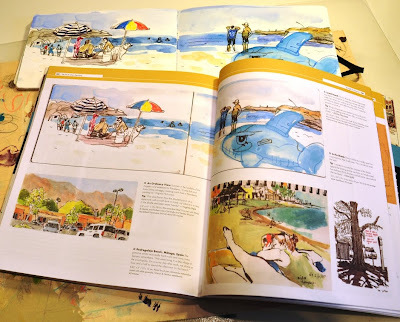 See more work by book contributor Marina Grechanik on her blog and flickr. 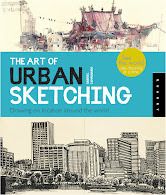 Grechanik is also the founder of Urban Sketchers Israel.